Love doesn’t stink — it steaks. Visit us during February for a fresh surf-and-turf entrée of delicious beef tenderloin and jumbo lump crab cake. Top it off with a hoppy love triangle from Tröegs or a sweet, satisfying mule from Madrones. 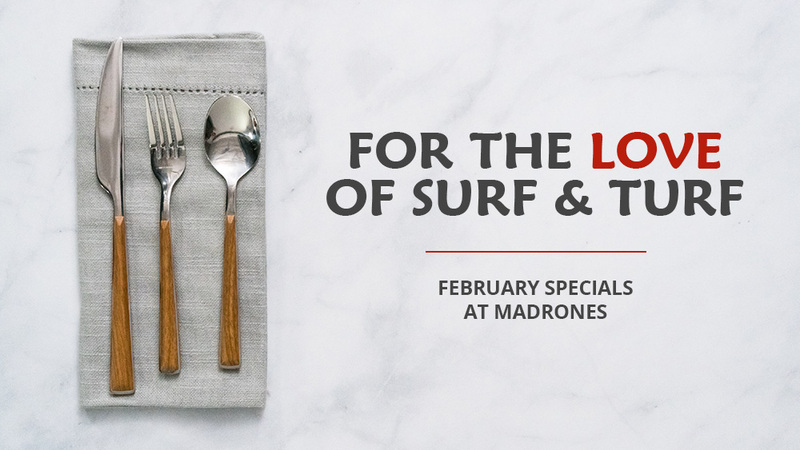 Whether you’re in love with a cold beer or a classic cocktail, Madrones has some February sippers for you. If you’re in a relationship with wine, don’t worry. Stop by on Wednesdays for half-priced bottles of wine. 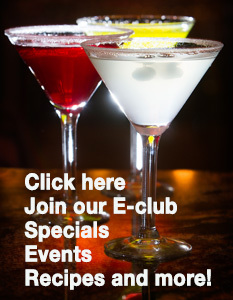 We love you just as much as you love us — that’s why we’re offering these amazing February specials. Stop by all month long for steak, crabs, and beer. What more could you want for a Valentine’s Day present? From all of us at Madrones, we look forward to seeing you soon.